Materials: Iron and brass. 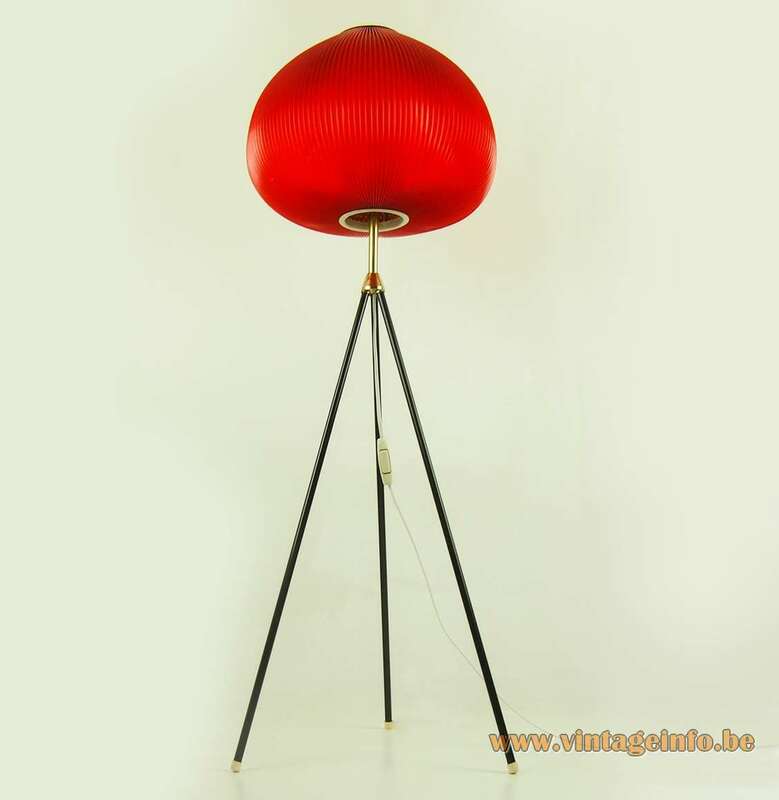 Red celluloid (Rhodoïd) lampshade with white Bakelite rims. Bakelite socket. 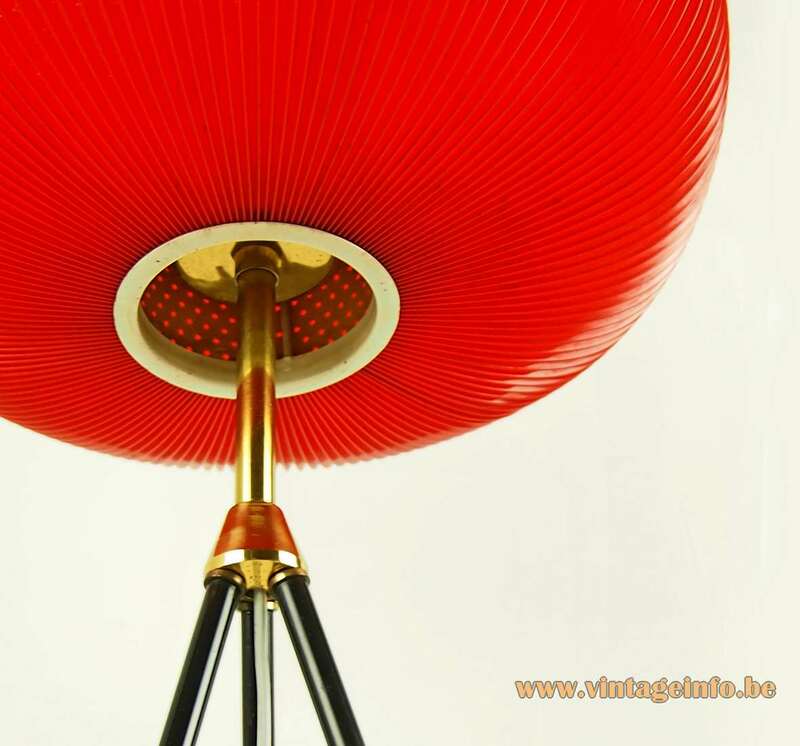 The lampshade is made of iron wire and red celluloid wrapped around it. Exactly the same material as the stretchable folded celluloid flower pot decoration that is for sale since the 1930s and it is still available today. 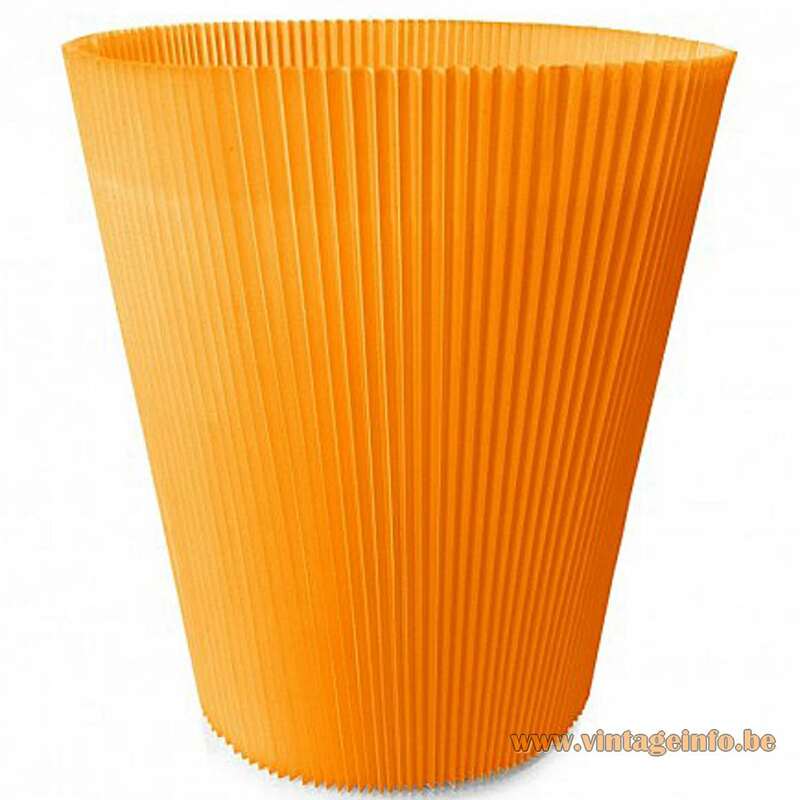 The “manchette” or “cuff” plastic is stretchable thanks to the folds, and therefore fits perfectly. 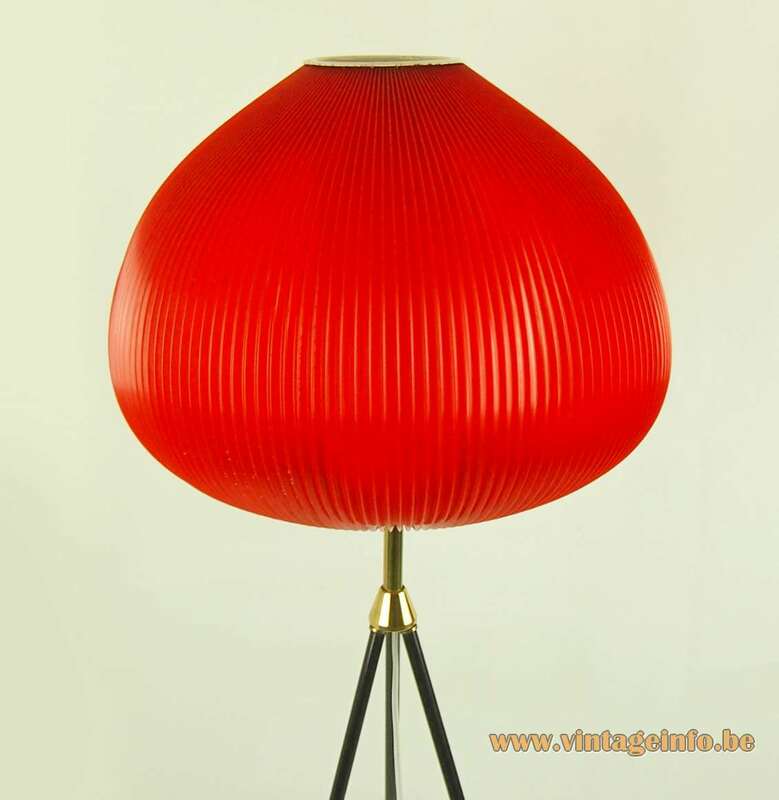 Lamps with these type of lampshades are often attributed to the famous French designer Georges Léon Rispal. 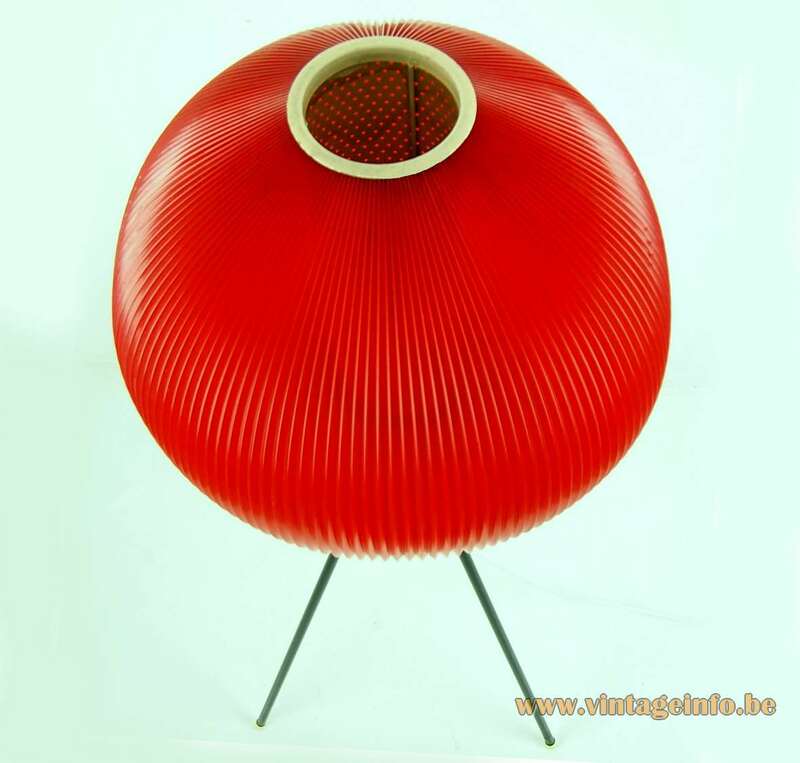 Rispal is famous for his original creations and biomorphic forms. 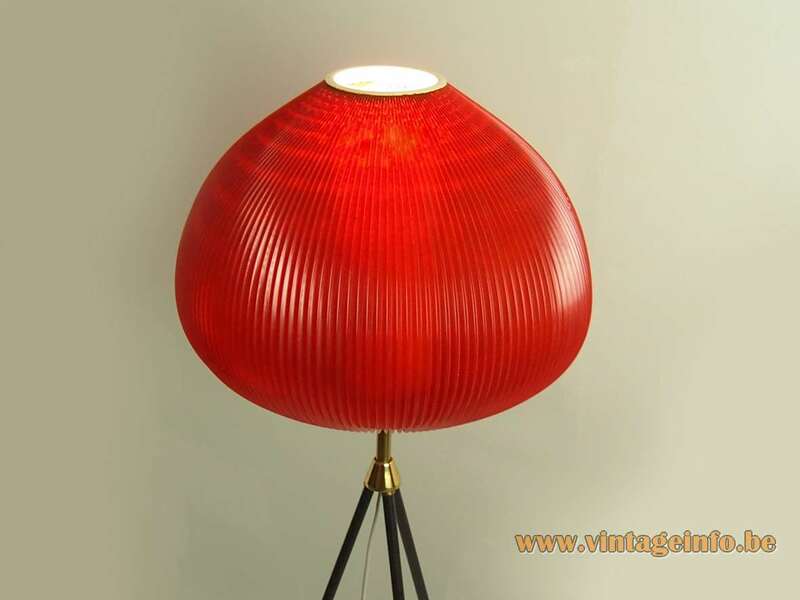 For some lampshades he used similar materials. The precursor of this cuff plastic was made of the very flammable celluloid or cellulose acetate (Rhodoïd). 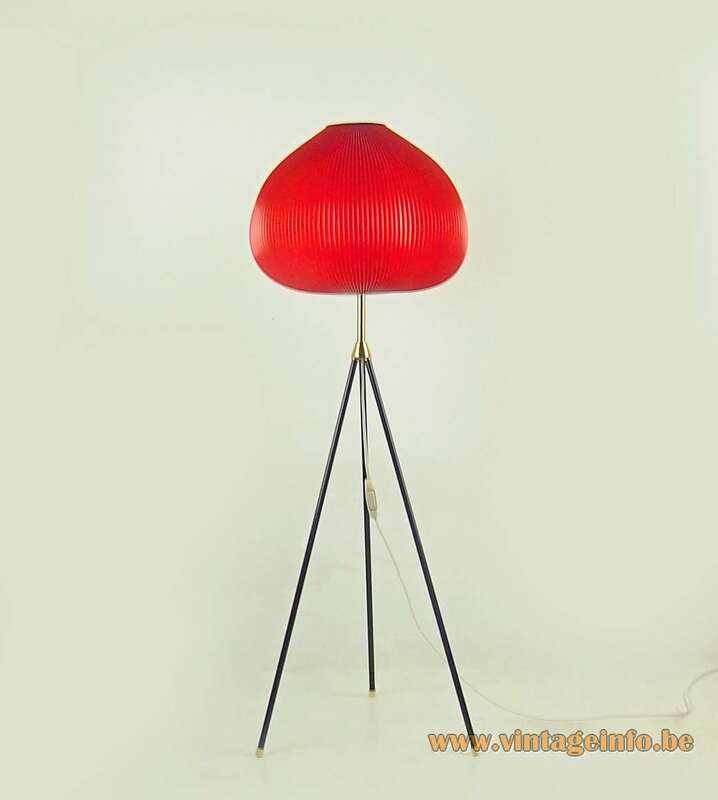 It was often used for lamps in the 1930s, 40s and 50s. Rhodoïd is a French and English trade name. 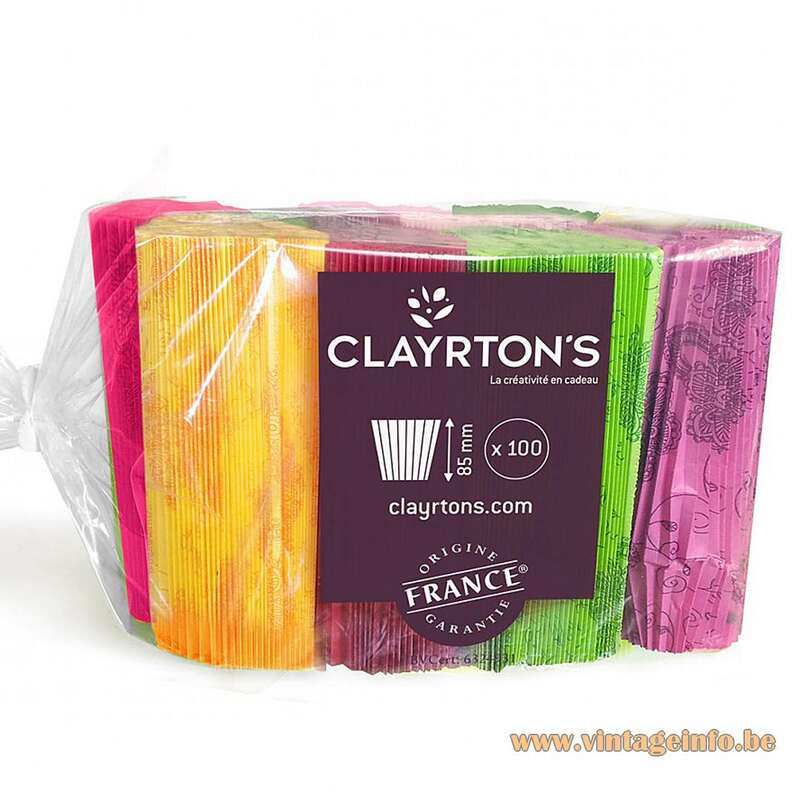 Other names used for cellulose acetate: Tenite, Zyl, Zylonite, Cellon. Acrylic (1930s) and PVC (1920s) were discovered before World War II, but was only widely used since the late 1950s.